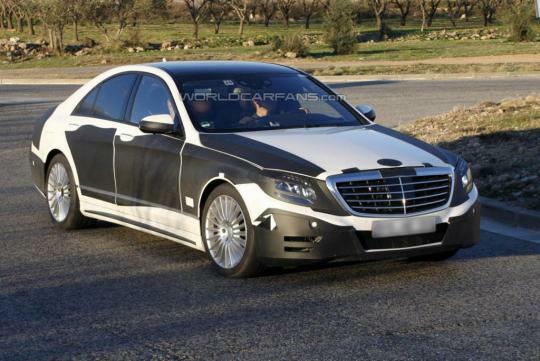 The 2014 Mercedes S-Class will be offered in three body styles which will underpin five models. The three body styles will have varying wheelbase length. The new line-up will include a new coupe model intended to go head to head with the Bentley Continental GT while the cabriolet version is being targeted at Continental GTC. According to a source from Autocar, "the front is a lot more aggressive and there's added structure to the flanks with a prominent drop line, a more rounded turret line and the rear overhang is significantly shorter". 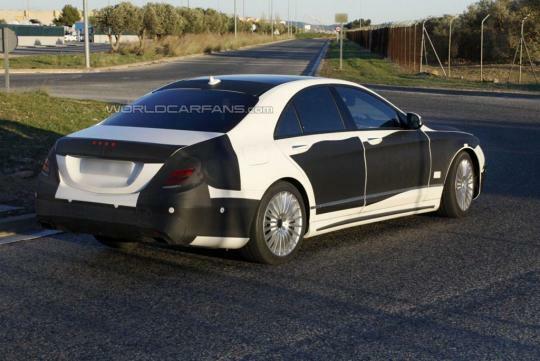 The standard and long-wheelbase versions of the new S-class will be revealed to the public at the Frankfurt Motor Show in September this year. The Pullman, which stretches over 5.7m, is expected to make its debut at the 2014 Beijing Motor Show. The Pullman is likely to replace the Maybach 57 uber-luxury saloon, which will compete against the likes of the Rolls-Royce Ghost and Bentley Continental Flying Spur. The all-new S-Class will be equipped with a host of safety features such as rear seatbelt airbags, Active Parking Assist, Attention Assist and Distronic Plus.